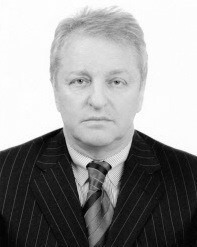 Mr. Pokrass has over 30 years of industrial management and investment experience, primarily gained from positions in large scale operations in Ukraine. He was the Managing Director of Nososenergomash, a supplier of equipment for nuclear power plants and the oil industry. Currently, Mr. Pokrass is the Chairman of the Board of Ukrelectroapparat, a producer of transformers and power stations. He is also the Managing Partner of Azov Oil Company, a Ukrainian refiner of a large variety of oil products. Mr. Pokrass holds an Undergraduate degree in Engineering from the Kiev Technical Institute and a PhD from the Moscow Institute of Glass. He also holds more than 40 copyrighted inventions and patents in the fields of engineering and glass production. Mr. Severinovskiy has over 30 years of industrial management and investment experience in Ukraine, Russia and other countries. He was also a Non-executive Director (Board Member) of Titanium-Apatite Company (TACO) and Rutile-Ilmenite Company (RICO). These companies were involved in the development of titanium ore deposits in Ukraine. Mr. Severinovskiy holds an undergraduate degree in engineering from Kiev National Construction and Architecture University and PhD from the Kiev Research and Development Construction Institute. He is an author of more than 40 scientific articles and 3 books on engineering. He also is the author of more than 15 copyrights on inventions in the fields of mechanical engineering and automatics. Mr. Sinitsin has over 20-year background experience in investment and industrial companies’ management, including 12 year experience in Moscow. During this period he has been a senior equity analyst for Fleming USB where he covered Russian metals and mining sector. Currently, he is the head of the Moscow natural resources advisory group for GHP Group. Mr. Sinitsin is also a director of Golden League Mining Limited, a junior gold exploration company with activities in the far east of Russia. Mr. Sinitsin holds a Bachelor of Commerce degree from the University of British Columbia and is a Chartered Financial Analyst. Mr. Zdanov has over 15 years of experience in investment acquisitions and real estate development. 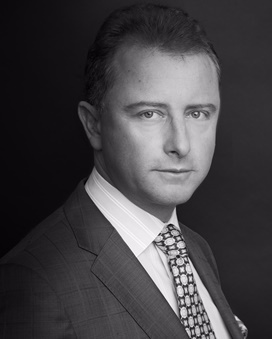 He has held senior executive roles at Interforum Invest, a Kiev-based commercial real estate developer; Interforum furniture distributor Inc., a USA-based furniture distributor; and Interforum Holdings Inc, a USA-based real estate investment and development firm. Mr. Zdanov holds an bachelor of technology degree (with honors) from Kiev College of Business and Technology. He also holds B.A. in Real Estate Development from Kiev National University of Architecture and Construction and B.A. in Business Administration and Marketing from Loyola University.